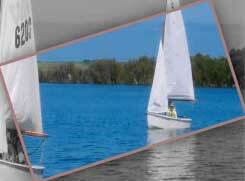 Welcome to the Pt Broughton Sailing and Boat Club Inc's official website. Port Broughton, on Yorke Peninsula, South Australia is on the shores of a picturesque, safe, shallow all weather harbour with a lovely grassy shaded foreshore, and while the others are out seafaring you and your friends can enjoy the Town, the Dining establishments and the assorted accommodation. Read about our history and other information using the above links. Come join our fun fundraising events and see our working maritime! Ales, Sails & Scales Festival, Family Fun Winter Fishing, Annual Rubber Duck Race.